PESI, Inc. is an approved provider by the Iowa Board of Nursing. Provider #: 346. Nurses successfully completing these self-study materials will earn 12.6 self-study contact hours. Please email cepesi@pesi.com with your license number, include the title, speaker name and date. PESI must have this number on file in order for your hours to be valid. PESI, Inc. is an AOTA Approved Provider of continuing education. Provider #: 3322. This self-study course qualifies for 12.5 self-study contact hours or 1.25 CEUs in the Category of Domain of OT and Occupational Therapy Process. The assignment of AOTA CEUs does not imply endorsement of specific course content, products, or clinical procedures by AOTA. Course Level: Intermediate. Expires: 03/08/2020. PESI, Inc. is an approved provider with the Florida Board of Occupational Therapy. Provider Number #50-399. This course qualifies for 12.6 self-study continuing education credits. California Psychologists PESI, Inc. is approved by the CPA OPD to sponsor continuing education for psychologists. Provider #PES010. PESI maintains responsibility for this program and its contents. PESI is offering this self-study activity for 12.5 hours of continuing education credit. PESI, Inc. is approved by the Ohio Psychological Association, Provider #263896894, to sponsor continuing education for psychologists. PESI, Inc. maintains responsibility for this program and its content. PESI is offering this self-study activity for 12.5 hours of continuing education credit. PESI, Inc. is approved by the Pennsylvania State Board of Psychology to offer continuing education for psychologists. PESI maintains responsibility for the program(s). This self-study program qualifies for 12.5 continuing education hours. PESI, Inc. is an approved provider with the Colorado Chapter of the National Association of Social Workers. Provider #1413. This self-study course has been approved for 12.6 continuing education hours. PESI, Inc. is an AOTA Approved Provider of continuing education. Provider #: 3322. This self-study course qualifies for 12.5 self-study contact hours or 1.25 CEUs in the Category of Domain of OT & Occupational Therapy Process. The assignment of AOTA CEUs does not imply endorsement of specific course content, products, or clinical procedures by AOTA. Course Level: Intermediate. Expires: 03/08/2020. 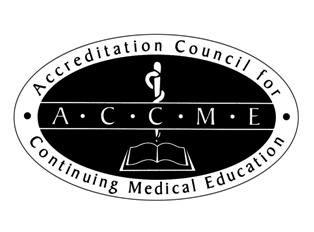 PESI, Inc. is accredited by the Accreditation Council for Continuing Medical Education to provide continuing medical education. PESI, Inc. designates this self-study activity for a maximum of 12.5 AMA PRA Category 1 Credit(s)™. This activity was originally recorded on . It was last reviewed on and is valid until 09/30/2021. Psychiatrists/Physicians should only claim credit commensurate with the extent of their participation in the activity. You are required to successfully complete and submit a post-test prior to receiving a certificate of completion.